MADE IN THE USA: Apotherapia Nutrition KETOGENESIS Exogenous Ketones Supplement Powder is made in the USA from premium quality Betahydroxybutyrate (BHB). Available in Unflavored, Matcha Choco Latte and Choco-Keto. 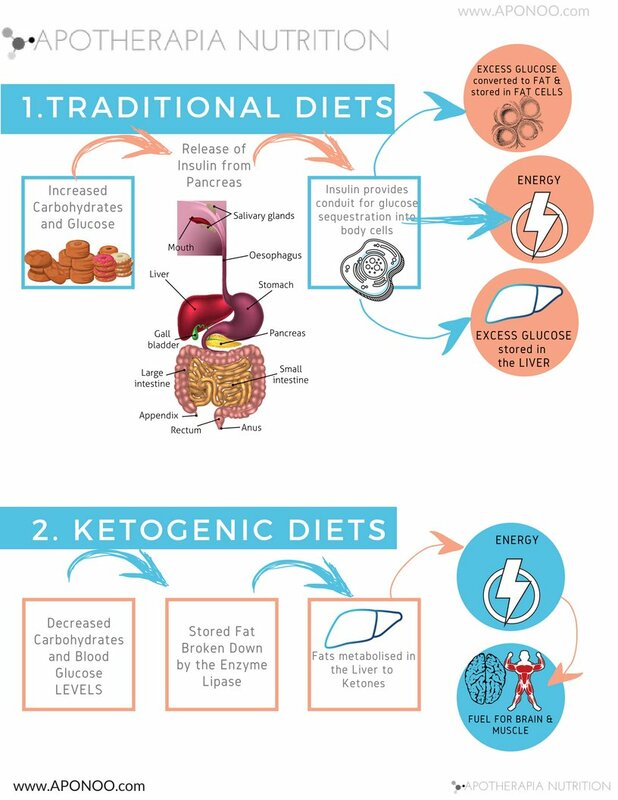 EASY TO USE: Exogenous Ketones can be easily added to water, juice, shakes, or smoothies to help boost your endogenous ketones and thereby enabling you to achieve ketosis and fat burning quicker and without starving. Open the jar and start with half the dose if you have never used ketones. WEIGHT LOSS: If you have attempted low carbohydrate and ketogenic diets, you will understand the power of being able to burn fat exclusively. Exogenous Ketones will help you achieve that goal without worry about excessive calories. Exogenous Ketones without fillers, additives, gum or junk. Rigorously tested in a laboratory to ensure superior quality. When eating a low carb diet, fats are used to provide energy instead. Ketones are produced from fat in the liver and used as the preferred source of energy in the absence of carbs/ glucose. Our Apotherapia Nutrition Ketogenesis Formula contains Ketones; beta-hydroxybutyrate (BHB) which facilitate mental and physical performance for an immediate boost of energy and performance. Ideal for athletes, busy professionals, “biohackers,” and low-carb dieters looking for an easier way to exclusively burn fat with or without exercise. Zzero fillers, zero gum, zero additives, zero caffeine, zero jitters and zero sugars. Our products are gluten free, soy free, lactose / dairy free, NON-GMO and paleo friendly.